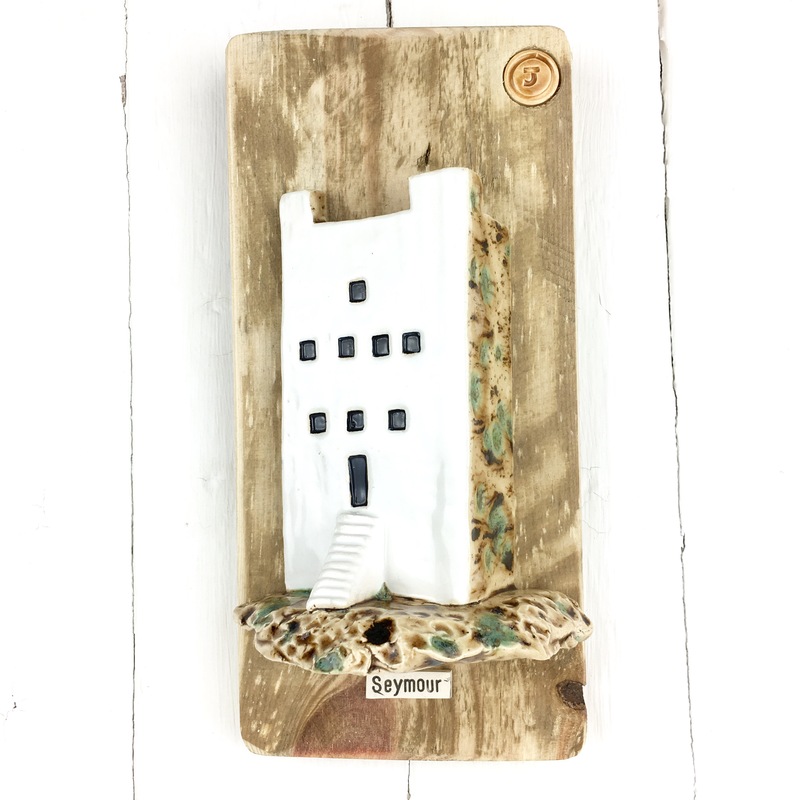 One of Jersey’s most recognisable landmarks, this sweet ceramic Archirondel Tower, known locally as ‘Archi’ is the perfect gift for anyone who has ever spent time at this special little bay in Jersey. 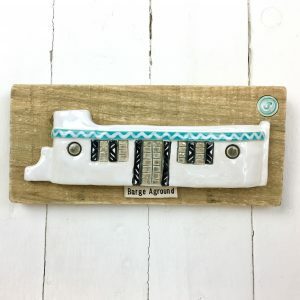 My ceramic interpretation of the 'Seagull' (locally known as the 'Barge Aground'), an iconic home positioned in the stunning St Ouen’s Bay. 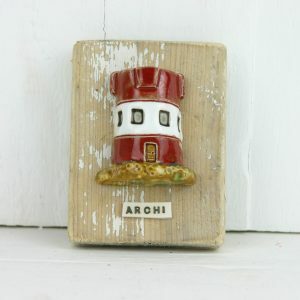 This ceramic piece is for lighthouse lovers everywhere. 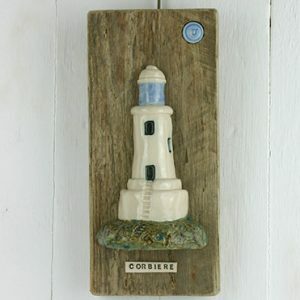 Corbiere Lighthouse sits on Jersey’s west coast and has saved many a ship from disaster. 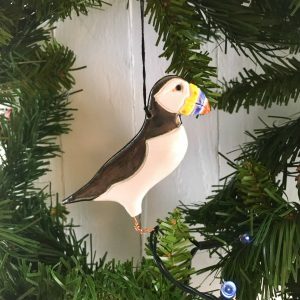 This adorable hanging handmade ceramic Puffin christmas decoration has a copper wire foot and is perfect for decorating the tree this christmas or decorating the house. 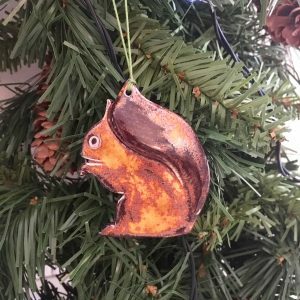 This adorable hanging handmade ceramic Red Squirrel with bushy tail christmas decoration is perfect for decorating the tree this christmas or decorating the house. 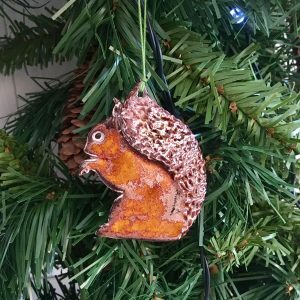 This adorable hanging handmade ceramic Red Squirrel with a plain tail christmas decoration is perfect for decorating the tree this christmas or decorating the house. 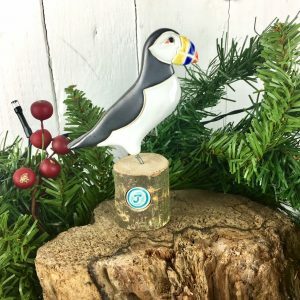 This adorable handmade ceramic Jersey Puffin mounted on a piece of branch inset with a ceramic J button is perfect for decorating the home this christmas or for giving a special little gift. 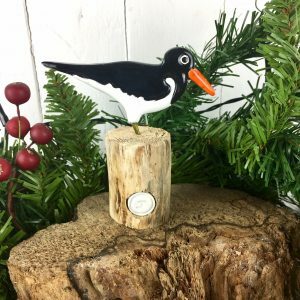 This adorable handmade ceramic Oyster Catcher mounted on a piece of branch inset with a ceramic J button is perfect for decorating the home this christmas or for giving a special little gift. 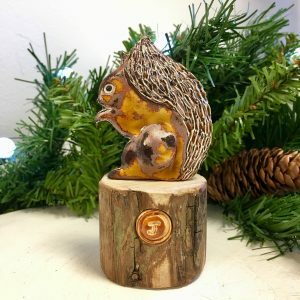 This adorable handmade ceramic Red Squirrel with a bushy tail mounted on a piece of branch inset with a ceramic J button is perfect for decorating the home this christmas or for giving a special little gift. 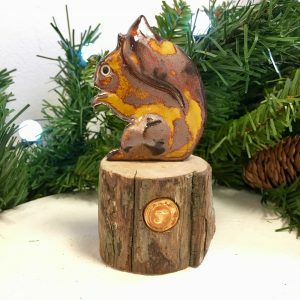 This adorable handmade ceramic Red Squirrel with a plain tail mounted on a piece of branch inset with a ceramic J button is perfect for decorating the home this christmas or for giving a special little gift. 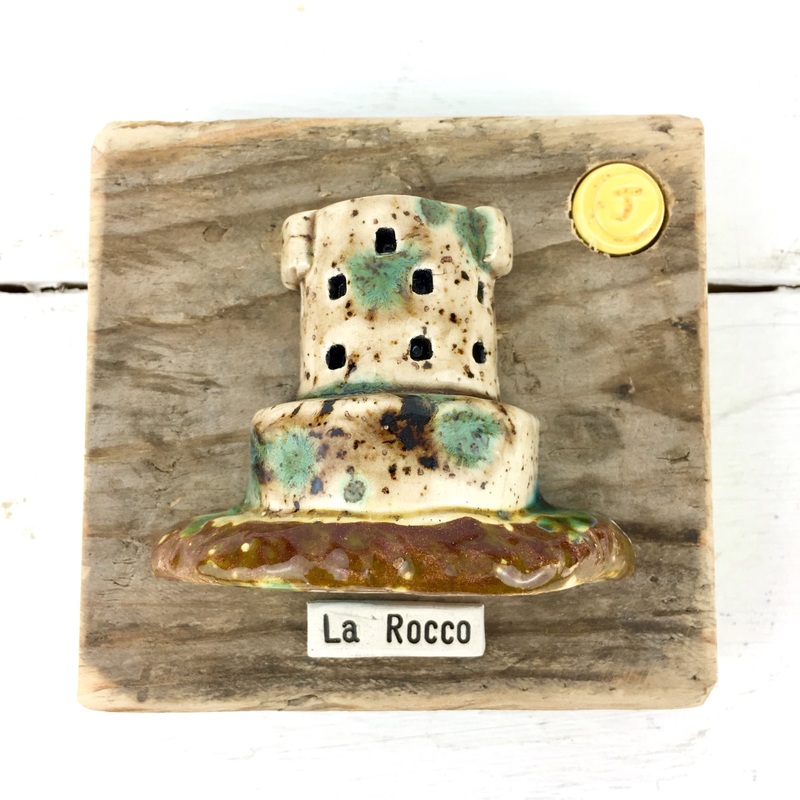 My version of the iconic La Rocco Tower, which sits in St Ouen's Bay on Jersey’s west coast. 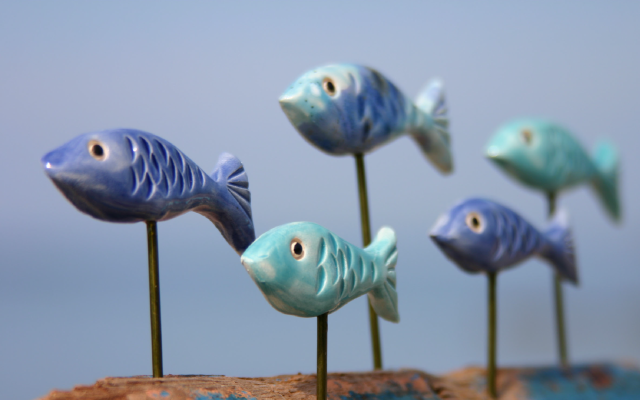 it is cut of by the sea most of the time but you walk out to it at low tide.